We live in a time in which we daily face the dictates of the ‘cult of youth’, focused on perpetual rejuvenation and always seductive youthfulness. This is also reflected on the theatre stages throughout Europe. On the other hand modern society is rightly called the society of the ‘elderly’. Our theatres are filled with viewers most often over sixty years old. Due to the complexity of this issue alone, which is surely predominant in the society in which we live, and about which we rarely or hardly ever speak, we decided upon the project “The Art of Ageing”. With this theatre project we wanted not only to question the ways in which we age but also, at this time, to highlight the importance of theatres as places where we can still pose some of the essential questions which we encounter every day. Heidi Wiley is project manager of The Art of Ageing, a project that is supported by the European Commission. She is also General Secretary of the European Theatre Convention, Paris. 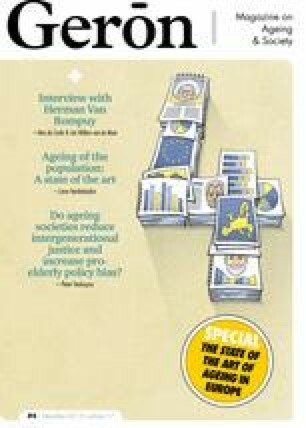 This article is based on ‘The Art of Ageing – Bringing the burning issue of global demographic change to Europe’s stages. A documentary by the European Theatre Convention’ and was adapted for Gerõn by Joost van Vliet.